1upHealth provides a common RESTful API across 300 hospital systems (our network) with more added each month. 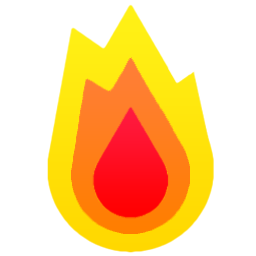 This API fully supports FHIR and provides rich programmatic access to electronic medical record data for patients and the companies and institutions who serve them. The available data includes patient demographics, labs, medications, observations, procedures, allergies, and much more. The 1upHealth platform is HIPAA compliant and in use by some of the largest hospital systems. You can get started for free with our developer tier. 1upHealth offers access to data through an API that follows an interoperability standard called FHIR, short for Fast Healthcare Interoperability Resources. Driven by federal healthcare regulations (see Meaningful Use), hospitals are incentivized to create publicly facing FHIR interfaces that promote interoperability of medical records by 2019. The 1upHealth team has been instrumental in FHIR since the beginning of these regulations and has built a unique cloud-based HIPAA compliant platform that makes data access easy for developers. Medical record data access is going through a revolution. Five years ago, a developer who wanted access to patient electronic medical records might spend years negotiating a business and security agreement with a single hospital. Today, a developer can securely gain access to medical records in minutes through the 1upHealth platform. The 1upHealth platform is cloud-based, scalable, and HIPAA compliant. Single canonical API for medical record data from hundreds of hospital systems. Normalization of data across varying EHR vendor structures and FHIR interfaces. Authentication tools for patients to grant permission for their medical records. Aggregated medical record data for data analysis (contact us with data requests). Millions of records of open data about providers and physicians. Standalone FHIR servers with customized app eco systems, Connectors for activity, and health trackers such as Fitbit, Withings, and Google Fit. The 1upHealth team are leaders in medical record interoperability and have been instrumental in FHIR since the beginning. The genesis of the 1upHealth platform lies in the combination of experience in public policy, building front-line interfaces into medical records for some of the largest medical systems in the nation, and technical expertise from the best tech companies in the world. 1upHealth’s mission includes a commitment to serving patients. Patients have a fundamental right to access their entire medical records to achieve better care and live healthier lives.